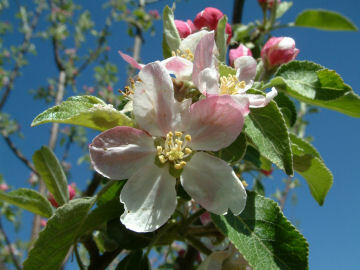 This is a very fine, but little known apple of recent origin, developed in 1942. Created by George D. Oberle, noted apple breeder in the 1940’s and 50’s at Virginia Polytechnic Institute in Blacksburg, Virginia. Dr. Oberle was also involved in the development and release of another equally fine apple, Virginia Gold. 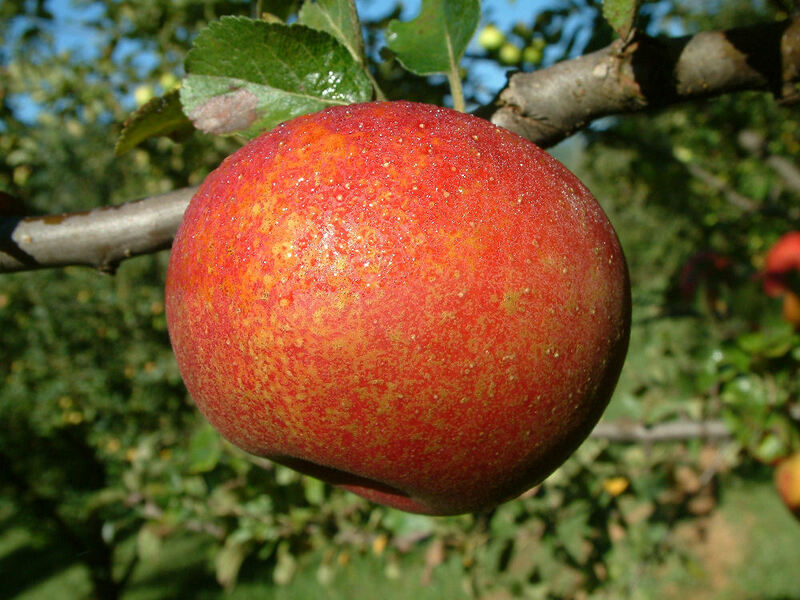 Named for the apple growing region of West Virginia, Shenandoah is a cross of Opalescent and Winesap and is a richly flavored apple somewhat reminiscent of Golden Delicious. It is aromatic, crisp and quite juicy. Highly recommended for pie making as the cut slices hold their shape well when cooked. Fruit round to conical with tough, waxy skin with occasional russet patch. Golden red to almost all red in color. Yellowish flesh is firm and sprightly subacid in flavor. Ripens mid-September to early October and keeps moderately well.